Canadian Lutheran Online » Blog Archive » Was Tiger Woods' apology sincere? Was Tiger Woods' apology sincere? 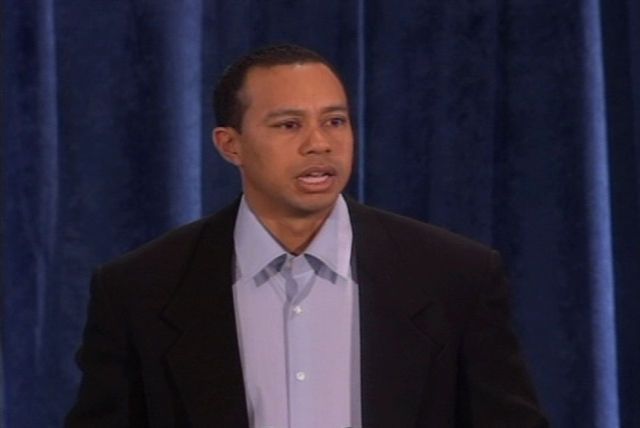 Was Tiger Woods’ apology for his indiscretions sincere? His public apology at a press conference generated a lot of discussion and debate. Some argue it was all about trying to fix his public image and repair the damage. Some think he seemed sincere enough. What do you think? How do you judge the sincerity of someone’s confession? What criteria do you use? I have often heard someone say “You can’t see into their heart!” Precisely. I can’t. Therefore I don’t try. I simply evaluate what they say. Unless I have compelling reasons to do otherwise, I assume a person is sincere in what they say. If someone has sinned against you, confesses to you and asks your forgiveness, what are you to do? Should you judge their sincerity? If so, how? By how many tears they shed? How much grovelling they do? How miserable they seem? How sorry they appear? What they do to try to “make it up to you?” Do you only forgive if you judge them sincere enough and worthy enough of your forgiveness? That is often how we react. We like to hold people’s sin over them. We want to see them suffer; see them grovel or crawl to us on their knees. We seek our “pound of flesh.” After they have satisfied us in these areas, then we will forgive them. What if God was like that? Sometimes we think He is. That is why we will try to “make it up to God” when we’ve failed Him. When we act like that, we believe somehow what we do can move God to forgive us. What a terrible burden to live under! What a false hope. Our hope is not in our trying to move God to forgive us if we somehow show we are sorry enough. No! God is not moved to forgive you because of what you do. God is moved to forgive you because of what Jesus has done for you in His life, death on the cross, and resurrection! God does not set up a bunch of hoops for you to jump through to show your sincerity and sorrow to earn His forgiveness. God extends to you the forgiveness of your sins, freely and completely, for the sake of Jesus. You are forgiven not because of your sincerity, but because of Jesus’ sincerity—His perfect obedience—not yours. You are forgiven because of His perfect life, not your promise to live one. You are forgiven because of Christ’s suffering for sin, not your willingness to atone. When someone asks you for forgiveness you shouldn’t ask of them anything else. We forgive as God has forgiven us in Jesus. To forgive is not to say what was done is “OK.” To forgive someone is to say that you know what was done was wrong but you forgive them; you will not hold it over them. This is the way God forgives us for the sake of Jesus. This is the way which we in turn forgive. Was Tiger Woods’ confession sincere? I don’t know. But I will put the best construction on it and assume it was unless I am given reason to believe otherwise. Tiger most certainly took responsibility for his actions. I pray that Tiger will not seek to make atonement for his sins—as he said he would at the press conference. I pray he sees that Jesus has made atonement for him already. Hi Mike: Thanks for this… I agree with you about the sincerity of Tiger’s confession. Our Thursday morning Bible Study watched an 11 minute UTube video on this and discussed the implications of this. Ted Giese says that there’s a theological discussion of Tiger’s apology on Issues,Etc. We’re going to take a look at that at next week’s study. Mike, you have said it exactly. This should be published in the Globe and Mail. I pray Tiger has a chance to read your response instead of all the other responses by a world that does not forgive and really doesn’t care. God bless you Mike. I agree with Michael Keith and wish Tiger,his wife & family all the best. Doreen.